This is the west face of the cross. 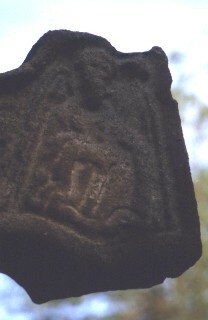 The right arm of the cross head shows an angel. The angel may be holding a staff.